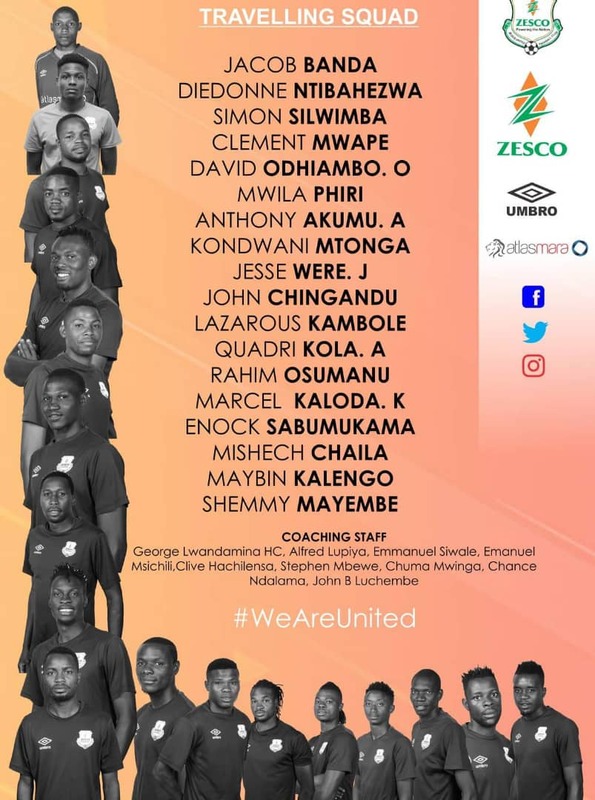 ZESCO United will arrive today at the Kotoka International Airport ahead of their matchday two fixture against Asante Kotoko in the CAF Confederation Cup to be played on Wednesday 13 February, 2019 at the Baba Yara Sports Stadium. The team left Lusaka, on Saturday with an 18- man squad, Technical team and management members. Information gathered by Ghanasoccernet.com indicates that the team upon their arrival will be met by Deputy Accra representative for Asante Kotoko Nana Kwame Dankwah and they will jet off to Kumasi. Meanwhile, according to some officials of the club, Kick off for the game has been changed from 1:00pm-4:00pm.